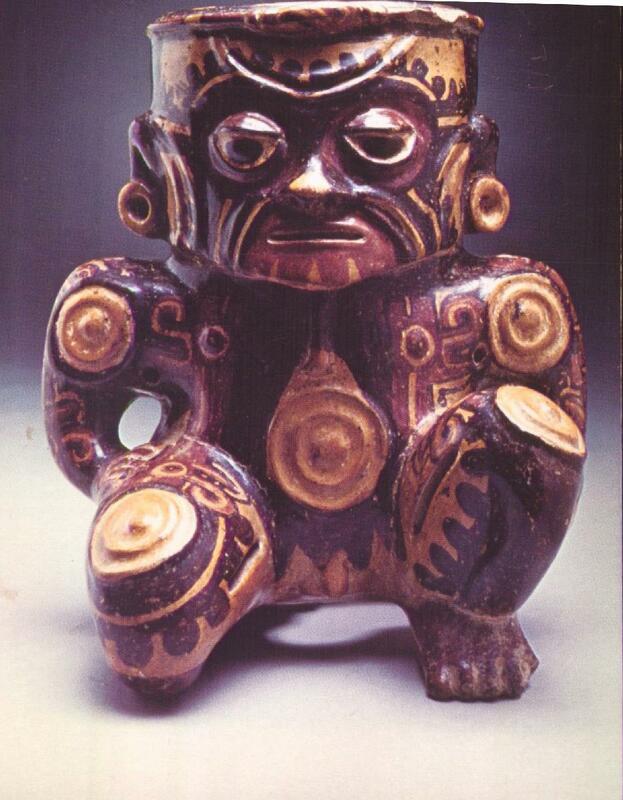 I went to the Los Angeles Art Museum today with Brent Boswell and we saw the "Precolumbian Art of Costa Rica" exhibit. This was one of many interesting figures that we saw. 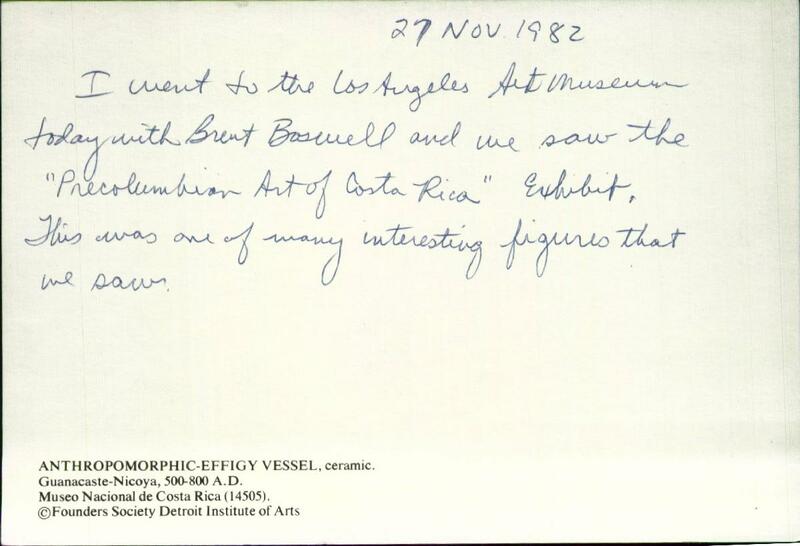 My mother learned one of her favorite sayings, "Anthropomorphic effigy vessel" from this postcard. She'd call any thing that 1) looked like a person and 2) could hold things an "anthropomorphic effigy vessel."